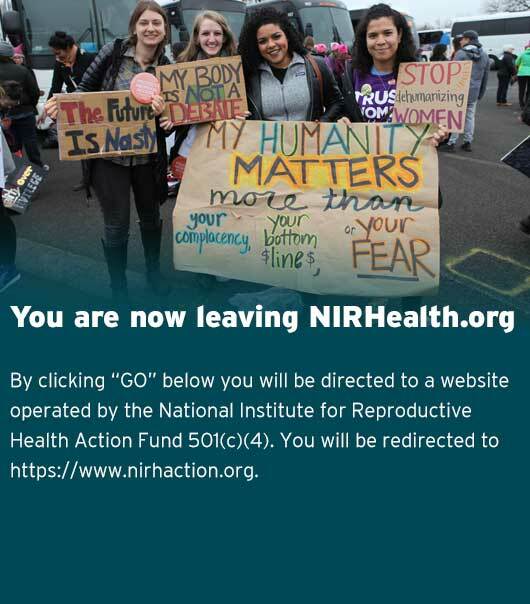 In 2017, NIRH supported a partnership between NARAL Pro-Choice Connecticut and Hartford GYN Center, a long standing health care provider in the Hartford community, to educate and mobilize a grassroots base about the harms caused by so-called crisis pregnancy centers or fake women’s health centers in their community. This was based in part on a two-year investigation conducted by NARAL Pro-Choice Connecticut conducted that identified 27 CPCs operating in the state, whose deceptive practices they documented in the 2015 report, “The Right to Lie: Crisis Pregnancy Centers in Connecticut.” After one of these facilities moved into the same building complex as Hartford GYN Center, just 20 feet away from its door, and began to engage in deceptive tactics towards the Center’s patients, the two groups, with NIRH’s support, began to educate local lawmaker about the problem. As a result, in December 2017, the Hartford City Council passed and the Mayor signed an ordinance requiring that facilities that hold themselves out as provide reproductive health care but that are not actually staffed by medical providers disclose that fact to all who enter their facilities.